Towards the end of every NBA season, the MVP race talk heats up like Chef Curry with the pot. There’s always talk of possible candidates early in the season, but I don’t think anyone expected the race to turn out the way it did. That message read on an enormous banner in downtown Cleveland until about 4 years ago when LeBron James decided to “take his talents” from Cleveland to South Beach. Upon his decision, many fans in Cleveland were heartbroken. Back in February, there was a video of then-Baltimore Ravens running back Ray Rice dragging his unconscious fiancée out of an elevator in Atlantic City. With the recent NBA Draft, the NBA offseason has officially begun. Free Agency began on July 1st, and there are already several storylines that should make for an offseason for the ages as the landscape of the league is poised to be shifted in a major way. There’s a saying in journalism. “Sunshine is the best antiseptic.” These words have proven truer than ever before over the last few days as the NBA’s Donald Sterling scandal, an operatic tragedy of immense American societal proportions, unveiled itself to the world. 16 teams entered. Now only two remain. The Golden State Warriors and Cleveland Cavaliers battle for the right to hold the Larry O’Brien trophy and be known as NBA champions. For one franchise, they haven’t touched a championship since 1975 and have gone through decades of mediocrity. 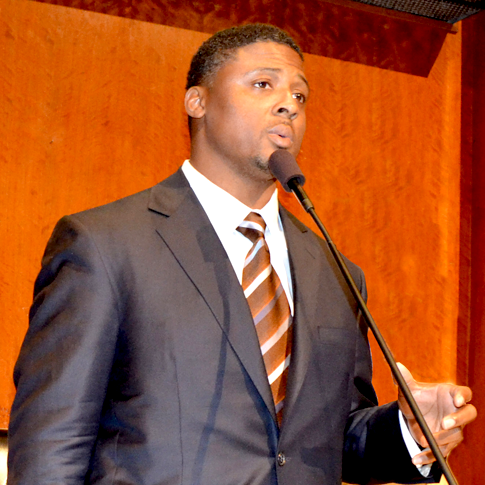 Warrick Dunn is the founder of Warrick Dunn Charities, Inc., a nonprofit organization that improves lives through innovative programming inspired by his life's journey.